! Testing Delivery (beta) ! We are excited to share we have partnered with Caviar. While we have not officially announced it, the service is active (TESTING) and we are asking you to give it a try. We need your help in making sure the service is working for you and is reliable. Service is ONLY happening out of our Sunnyvale location. If you are not close to that location, keep that in mind. Maybe even check our FAQ to see how best to reheat your slices (e.g., toaster oven, skillet, etc.). To try us out, please use the web link delivery.asony.com, any time you order online. The website (vs. the Caviar application) saves our employee owned business almost 50% in fees. Your experience will be the same. and share. We will be closely reviewing the costs, but in ALL cases, delivery is more expensive than coming in to pick up your order. We are not trying to make more on delivery; rather, we want to keep our profit margins the same. We want to hear from you. We want to make this a great delivery experience and a win-win for everyone! 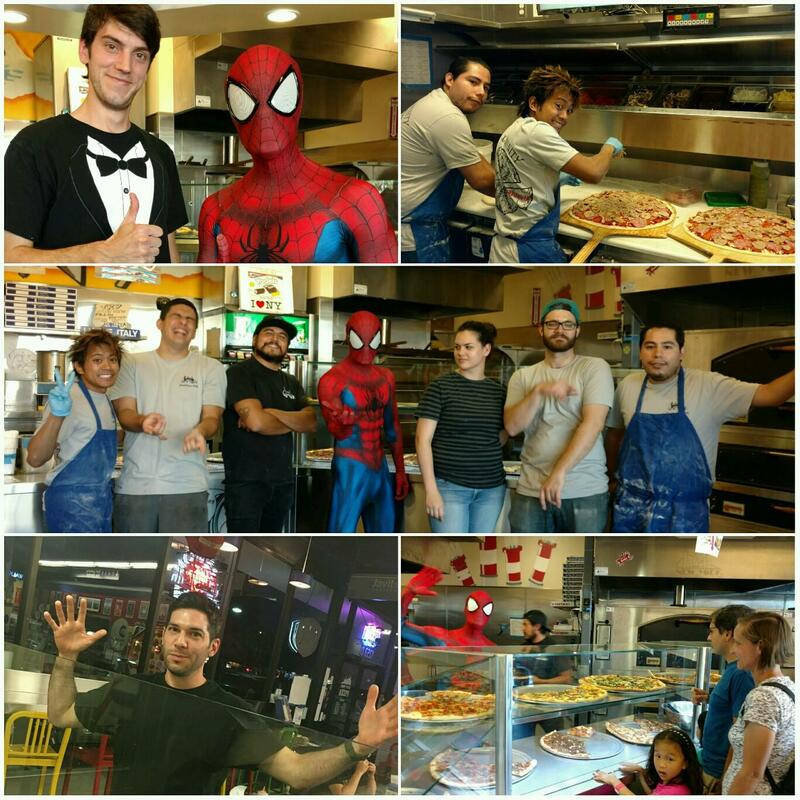 A Slice of New York and A Slice of New York - Sunnyvale prides itself on making great pizza and providing memorable experiences for our awesome customers. Hiring great people continues to be a challenge and we do not want to overwork the stellar crew we have. Until we can add solid team members to provide the level of service we demand, we are reducing hours at our Sunnyvale location. Sundays we are closing at 7:30pm with last order at 7:00pm. This reduction will expand if necessary. 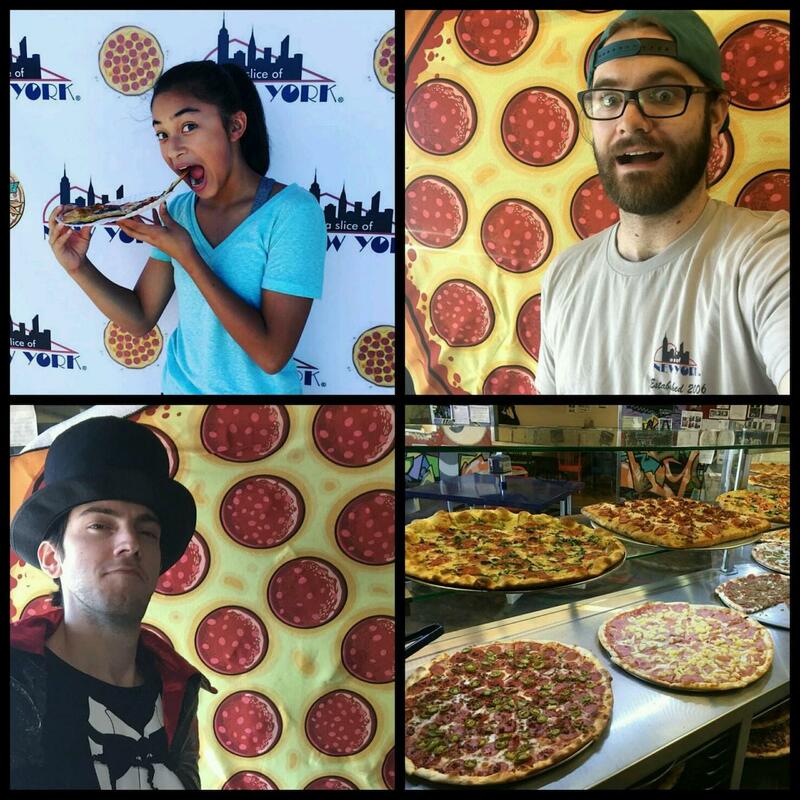 We want to be your go-to pizza shop. 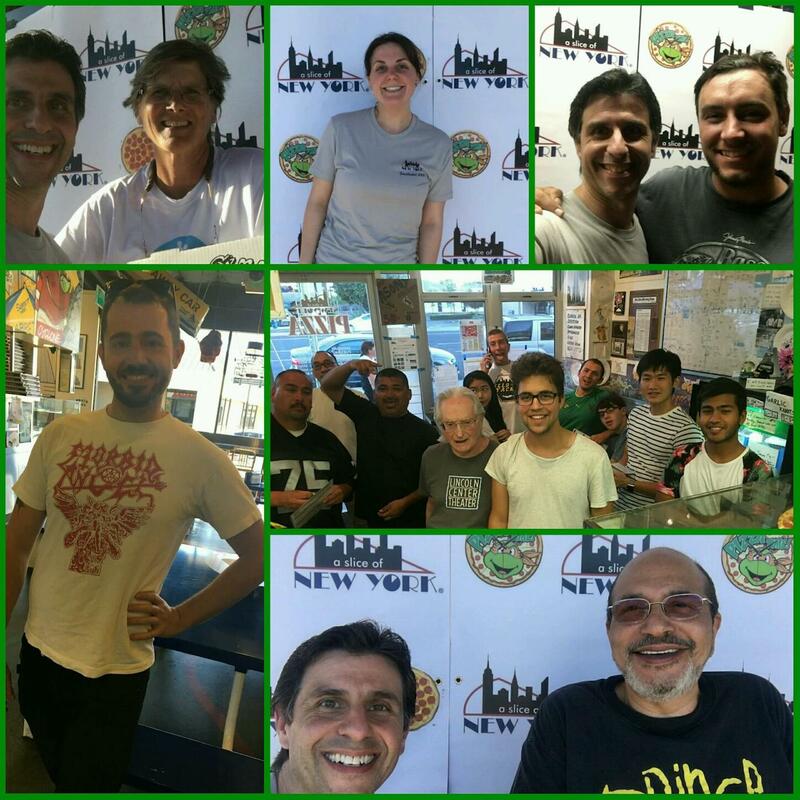 If you know anyone interested in working for our employee-owned cooperative and think they're a fit with our environment and culture, please contact us jobs@aSliceOfNY.com. Thanks for your ongoing support of our small business! We are disappointed to let you know that our small business isn't worth the time or trouble for DoorDash to manage. After submitting two serious complaints about driver issues (many of them were fine), we received the following email from DoorDash stating they no longer want to do business with us. "Based on the incident reports which have been filed regarding A Slice of New York and our review of the circumstances, we would like to inform you that we will be parting ways with A Slice of New York. DoorDash requires all of our merchants to uphold and share in our commitment regarding maintaining a safe work environment, free from any intimidation or harassment. Based on these incidents and a review of our current agreement with A Slice of New York, we are hereby providing you with notice of termination, effective immediately." It has been over two weeks since I had communication with them. There has been ZERO follow-up from them to the two incident reports I filed, one about an agressive, disrespectful driver, and the second about a driver who stole from us. And when I asked about the status of these and what was happening, we received the above email. No phone call. No follow-up. Nothing. Even though we had many issues reported around driver lateness, drivers not being assigned, lack of professionalism, disrespect, and general frustration, I was still willing to provide consistent feedback, speak to their Merchant Support on the phone in India, and put up with their technology and Merchant Portal not functioning. I wanted to make it work becuase our customers use their platform. And, I am not willing to simply accept quality of our product being negatively impacted by some drivers who don't really care, or not identify issues with drivers who don't have the basics to do the job effectively (like a pizza bag). Was I too vocal? Is it unreasonable for me to request pizza delivery drivers have pizza bags to keep our product warm? Should I simply not care about food that leaves the shop because it's already paid for? Should I not care that drivers show up late and are unappologetic about it? We heard you want delviery; we have heard it for over a decade. We will find a way to get a quality-based solution. Thanks for your patience. Due to multiple and serious issues with DoorDash drivers (e.g., disrespect, lack of professionalism, and stealing), we have temporarily halted operations with DoorDash. There are two formal cases filed, and one may turn into a criminal case based on what is currently known. A Slice of New York was founded on principals that are not negotiable, two being open and honest communication and mutual respect. We do not feel these qualities are being met by this service at this time. We are trying to work it out as we speak, but until we do, service has been suspended. We are sorry for any inconvenience this has caused. We tested DoorDash today (9/11/18), and it was much better. Still some issues, but we have a pretty good idea on how to work with it. Please let us know if you have issues by reaching out to us directly - delivery@asliceofny.com. If you want delivery, please use the following (dead link) and DO NOT use the DoorDash app directly to order from us. Simply click this link (or bookmark it) to access our DoorDash menu. It will save us over 50% of the commission DoorDash takes from us and will keep that revenue in our business. Your expereince will be the same. Please understand that DoorDash takes 25% of the order revenue from us. On top of that, the additional taxes, tip, and fees do not go to ASONY. We are looking at how this significant fee will impact our business, and we might have to raise prices specifically for DoorDash service. Once you use DoorDash, we no longer know who you are! We want to stay connected to our friends and customers, so please let us know what your experience is by emailing us at - delivery@asliceofny.com. We want to hear from you directly, whether it is good, bad, issues, questions, etc. 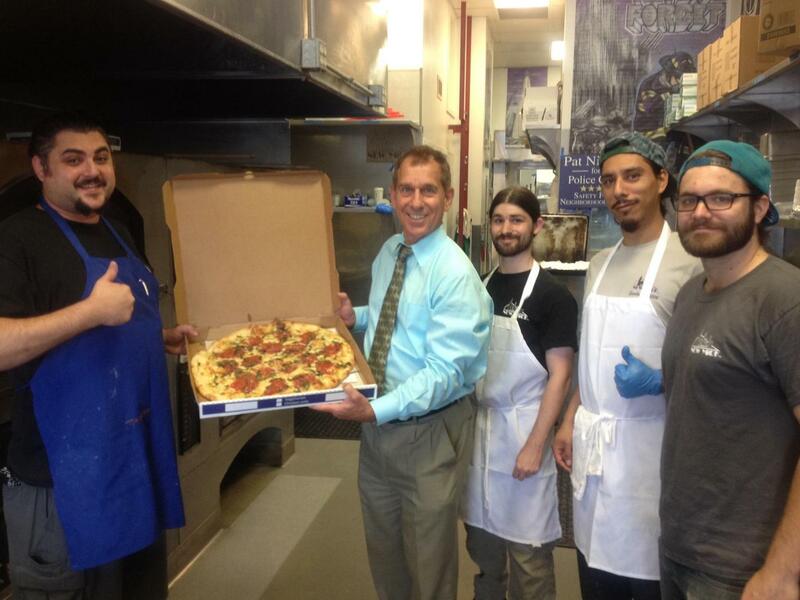 Please keep in mind, the crew making your pizza are no longer able to get a tip from you. We welcome your thoughts. These are hard times for everyone, but incredibly hard for our team to live in this area and for us to properly compensate them. Thank you for all your years of support. A Slice of New York is now a worker cooperative! ASONY has transitioned to a worker cooperative (co-op)! 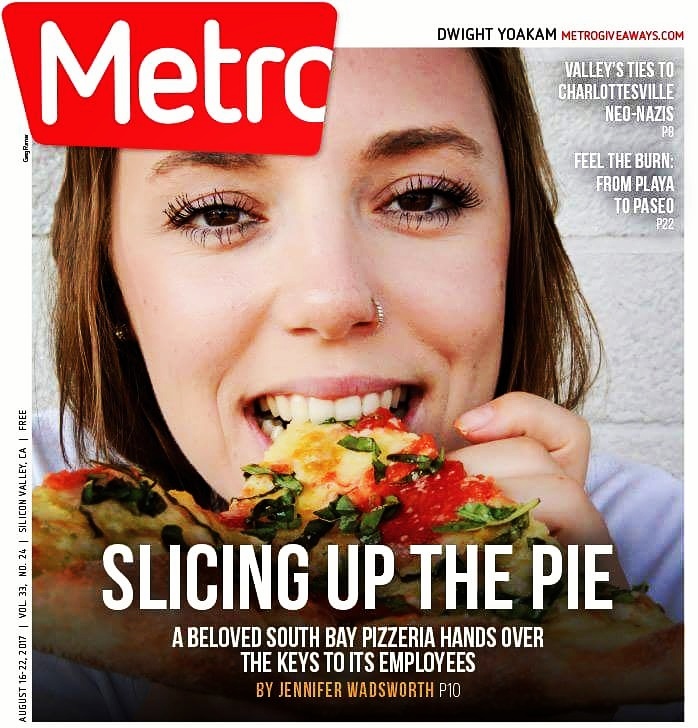 This will help us achieve our goal of being a progressive Bay Area business, one that supports its employees, the community, and provides great food and service. Membership is open to all employees and is completely optional. A worker cooperative is a form of employee ownership. What makes co-ops unique is they are businesses both owned and governed by their workers. Strategic decision making is democratic, adhering to the principle of one member, one vote. Profits are earned based on hours worked. Worker co-ops create long-term stable jobs, have sustainable business practices, and are connected and accountable to their community. What does our cooperative look like? Our daily operations remain the same. Our original owners and founders, Kirk and Marguerite, continue their key roles within the company, but ASONY is now governed by its staff. This means that co-op members make decisions about things like workplace governance, annual budget, company direction, and strategy. They also share in the profits and risks of the company on an equal basis. Not all our staff are members of the cooperative, and we may always be a mix of members and non-members, but we strive for an ownership culture and a democratically governed workplace. As a company, we believe in the democratic process (see video) and our goal is to provide stability and growth opportunity. We believe in a just economy. Our purpose in becoming a cooperative is to make, and keep, ASONY an enduring company that offers members job stability and career opportunities in the local community and in the local food industry. We believe that the best way for ASONY to continue to grow and prosper is to make sure the focus of our business is on both the quality of our product and the people who make, serve, and sell it. 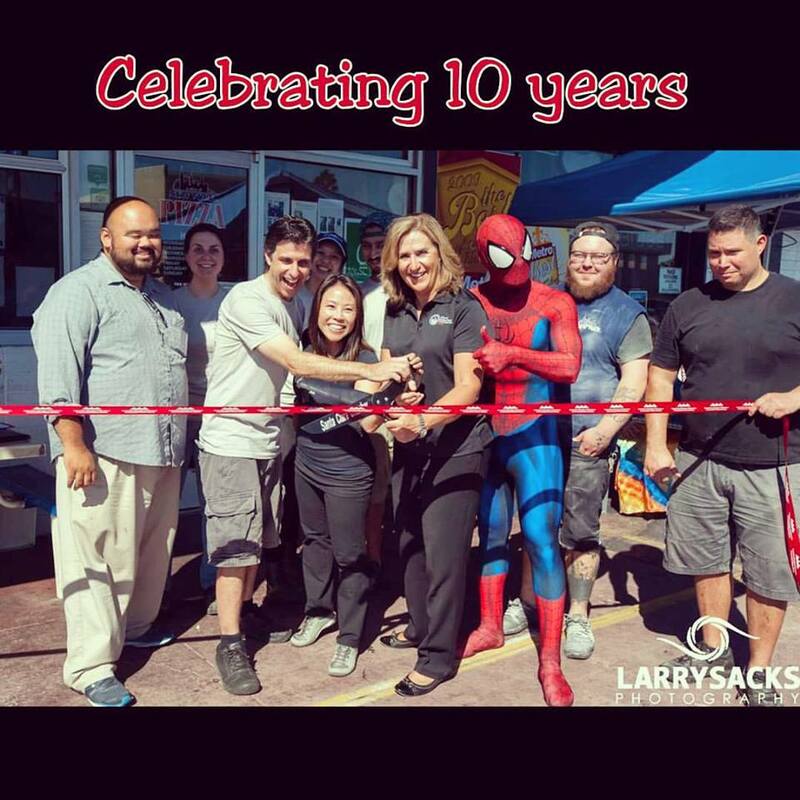 Thanks for 10 Years of Support - Sept 2016!!! What a great time we had on Sunday, Sept 18, 2016. 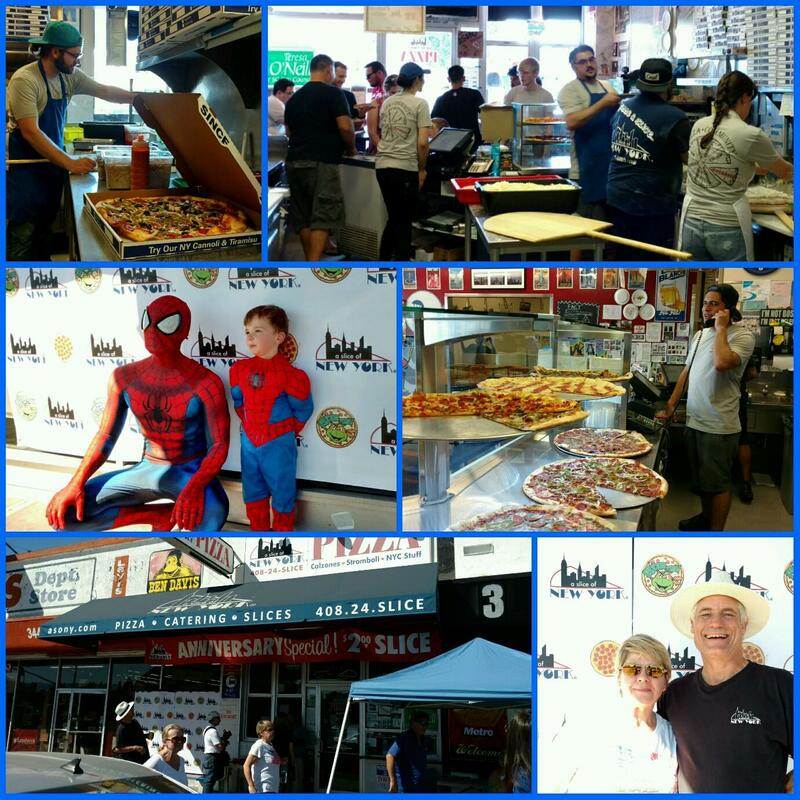 The total slices sold in at the San Jose shop since opening - 872,840! Congrats to Rory who guessed - 869,323 and won our contest. 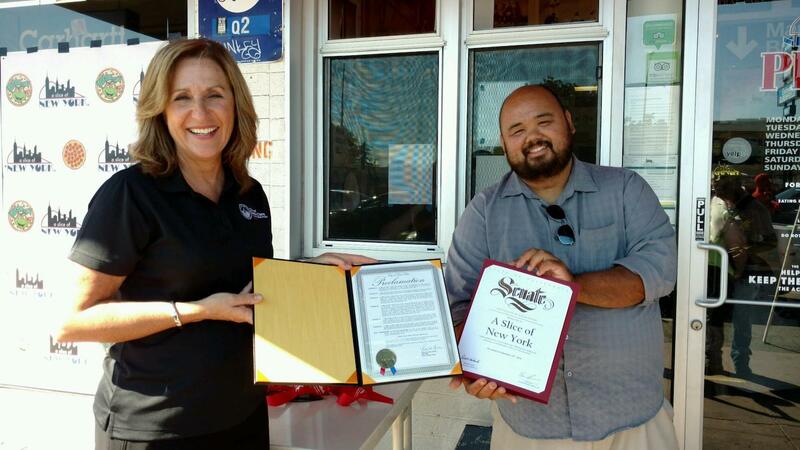 We were honored to have the Mayor of Santa Clara and Sentator Bob Wieckowski's office attend our ribbon cutting, where the Mayor presented us with a proclamation and the Senator presented us with a Certificate of Recognition. 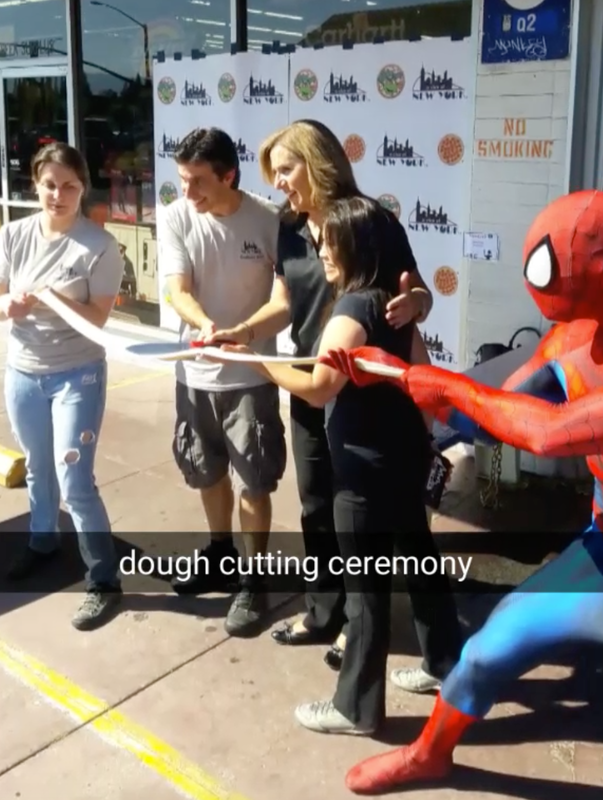 And the best part, Spiderman was there! Thanks Spideyfit! 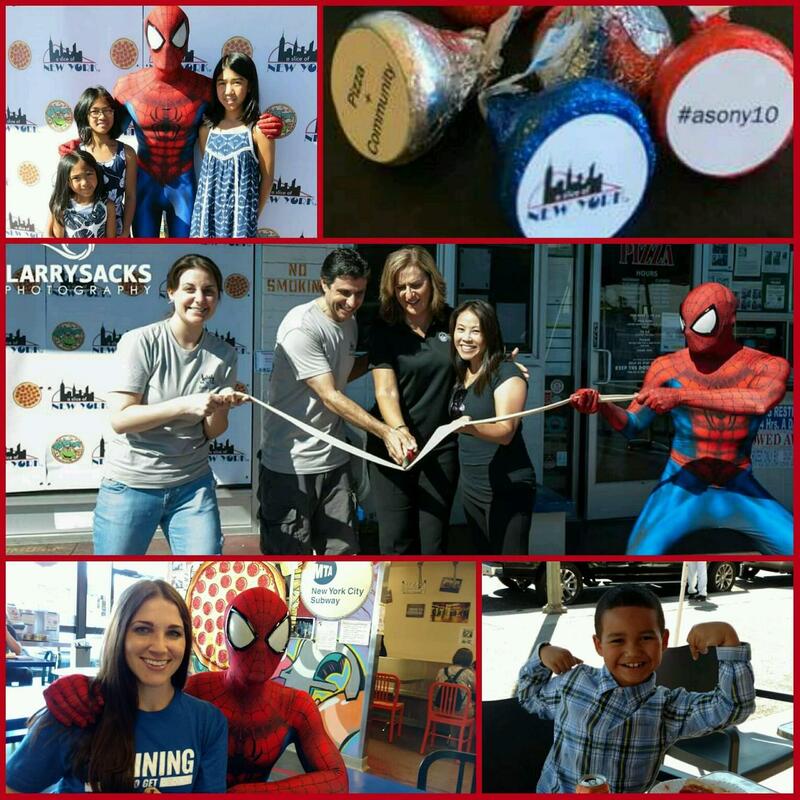 Thanks to the Santa Clara Weekly/Larry Sacks for writing a great article on the event! Ribbon cutting with the Mayor of Santa Clara! Senator Bob Wieckowski getting a pie! All information and materials © 2018 A Slice of New York - All Rights Reserved. A Slice of New York and related logo are registered trademarks and protected by law.